Birch Hill STUNNER. A once in a lifetime location at the top of Birch Hill combines with a graceful newer Bentley built home. 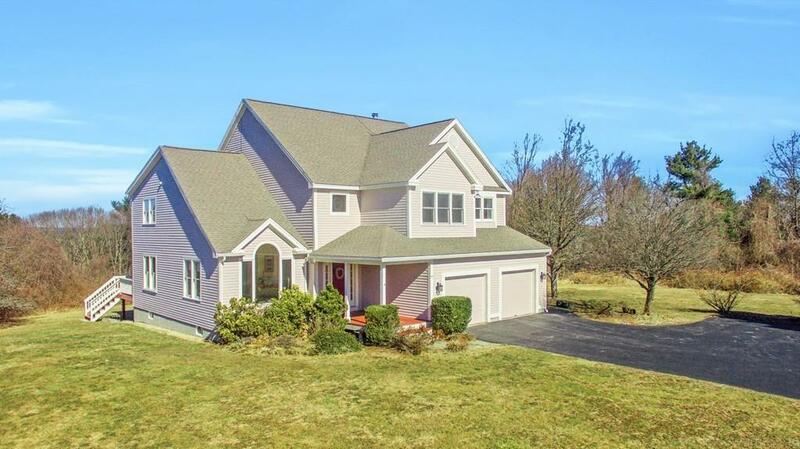 1.73 acres with wonderful privacy & views west (Mt Wachusett), east and south to enjoy nature & the seasons unfolding. This home has an open floor plan but with private spaces all maximized to take in the views from almost every room in the house. Natural light pours in throughout the day. Kitchen features birch cabinetry, an island, stainless appliances and a pantry flowing into a light filled breakfast nook & a large family room. French doors allow separation from the living room/dining room when needed. A First floor office complete this wonderfully flexible first floor. The Master bedroom enjoys double walk in closets, a jacuzzi tub and separate shower and direct western views. Three other generous bedrooms and a loft give excellent space for all. A huge unfinished basement provides many more opportunities for the future expansion.